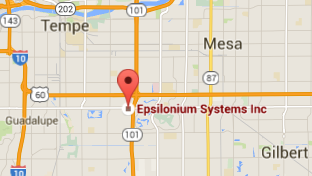 Designs that reflect Epsilonium’s innovative and creative ideology. A website is the digital face of the organization. Your customer perceives your services to be same as your website looks. By getting creative, you have a chance to impress your customers at first sight. Most of the times, an unattractive website drives away the visitors. Epsilonium offers creative web designing solutions to give your website a complete make-over. Epsilonium is like your web product’s personal stylist. If your website or app is not so attractive, our designers work upon it’s aesthetics to make it look visually appealing. Often the splendor fades away with time and your web product gets rendered as old fashioned. We are well aware of the industry standards and are always up-to-date with the modern trends and that is reflected in our innovative and well researched web designs. Our creative think tanksgive birth to revolutionary and contemporary designs that always convey the intended message. Our designers work with you to understand what you want from a design and then strive to craft the design with utmost creativity delivering exactly how you asked it to be. Epsilonium’s designs are thoroughly checked for cross browser compatibility and are seamlessly responsive on all web browsers and platforms. Our experts make sure that our products are optimized for all devices and screen sizes. Epsilonium is the one stop solution for all your creative web designing needs as we offer cost effective and result delivering designs that are genetically creative.